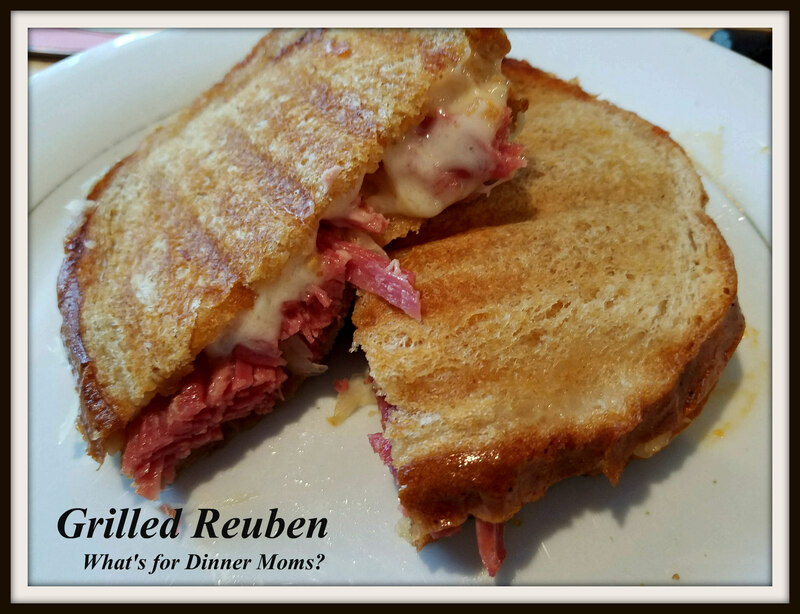 Grilled Reuben – What's for Dinner Moms? One of the ways we have been battling with what to have for dinner when our life is so busy is to cook a big cut of meat such as a corned beef, ham, even a turkey and then slicing them up for different meals. This cuts down on the time needed to cook a meal and the time it takes to get it on the table. This was one of the meals we made after having corned beef for dinner one night and then two nights later we had Grilled Reubens. These were perfectly delicious. Using a grill pan or a sandwich grill made this sandwich lightly crunchy on the outside and melty, and smooth on the inside. Drying the sauerkraut in a paper towel kept the sandwich from being too soggy along with adding the dressing in the center of the sandwich. I served this sandwich with a green salad and a side of potato chips. Warm grill pan or sandwich maker according to directions. Butter one slice of bread and place buttered side down on grill. Top with one slice of Swiss cheese, then meat, dried sauerkraut, dressing, and second slice of cheese. Butter one side of a second slice of bread and place buttered side up on the sandwich. Close cover or flip as needed. Once both sides are golden brown remove from pan and allow to rest for 2-3 minutes before cutting. Previous Post So Where Have I Been Lately? 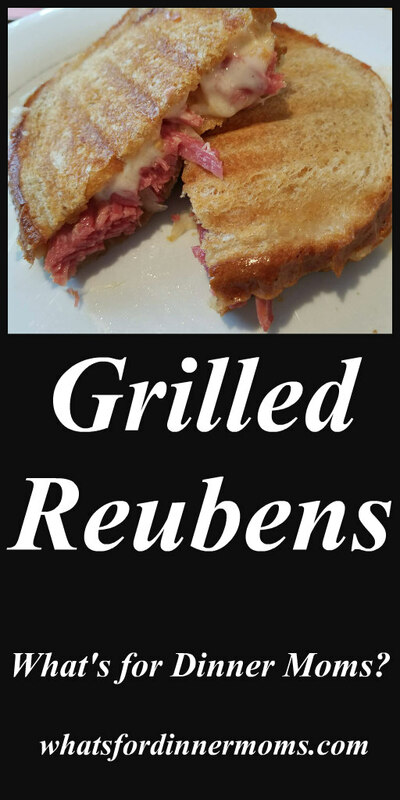 As a native NYer…I normally have to make the reuben myself so it is made properly. First…I remove the 1000 island dressing. Mayo is a culinary abomination. I replace it with mustard, because that’s what should be on a good sandwich. That done, I use a griddle. I butter the both slices of bread (Jewish marbled rye preferred), and put them on the griddle. Then I add cheese to both sides, and it will start to melt. Then I add the sauerkraut and let the liquid dissipate while it heats. I do the same for the corned beef. Everything cooks at the same time. Then assemble on grill, put on plate and cut. Perfect every time. One of my favorites.